Developed by Thunderkick, Wild Heist slot review one of the best software developers that has existed for years, Wild Heist at Peacock Manor is just wonderful for crime lovers, since the theme is all about crime and you get the feeling of that while playing, which is totally creepy. You have 5 reels and 17 paylines, and you are able to play between 10p to £100. You can decide the amount of the bet you want to make on this slot. Something great about it is the fact that you can play it from any of your devices, whether they are iOS or Android smartphone or tablet, even from your Macbook or Windows PC, any device can open the slot, which makes it easier to play it from anywhere you want, at any time. 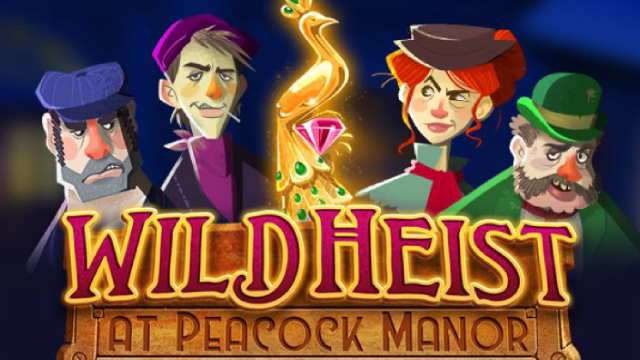 Playing Wild Heist at Peacock Manor can award you with 8,500x your bet, which is just outstanding since this will mean a really high payout, available for everyone who loves this type of criminal theme on a slot. It has cartoon-like symbols and background as well, but you can expect incredible graphics from this slot. On the background you can see a door lock, and blurred windows with the lights on, since it’s night on it. It really gives you a sinister feeling, which is only normal with the symbols and the sound coming from the slot. On this slot you have several features like the Autoplay one, which will spin automatically the reels during a specific period of time or during a number of spins. 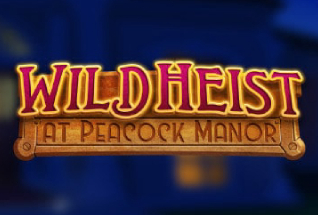 Wild Heist at Peacock Manor has an intuitive design and interface, and that means you will be able to do anything in it easily, especially clicking on the buttons you need in order to make it spin, which is the most important thing you can do. When it comes to the theme, you can expect a crime saga one, based on 4 characters who will try a heist at the Peacock Manor. For crime lovers, this is the perfect slot, since you will have the robbers while playing, and you can see them all on the reels. Regarding the symbols, they are nothing much so you shouldn’t expect a lot. These include the playing cards A, K, Q, J, another 10 of these, a W (the logo) and also the 4 persons, those who will conduct the heist. The highest paying symbols are the golden peacock symbol which is a W, and the 4 characters. The golden W gives you 20x your total bet when there 5 of them on a payline, but there’s also another symbol that pays like the wild one. It’s the peacock one, with a large diamond and when 3 of them appear on the reels, then it will pay like the wild which is amazing, since you can really get a really good payout out of this. And the lowest ones are the 10, K, Q, J and A. This are nothing much, but they always pay something, so that’s good too. The W symbol is wild, so it can replace any other in order to create more winning combinations, but it won’t substitute the scatter symbol, which is the golden key. This is perfect, since you can have a better payout at the end of a spin because of this symbol. There is the Wild Heist bonus game, which you can trigger when you land 3 or more of the golden keys, which are the scatter symbol, anywhere on the reels. You will get asked to choose 3, 4 or 5 keys. As the keys land, the locks will start to unlock, and this will happen on the sixth reel. 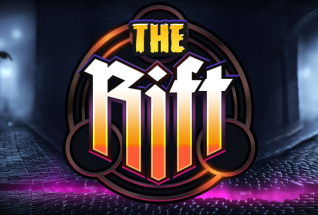 Then cards will be revealed, and those will have enhancements available for 7 free spins that have multipliers, even more free spins, the Mystery Bonus game or even one of the four characters will become wild. If you land, at least, two keys, then you can choose more cards, in order to get more free spins, which is great since during those you can really win something incredible. Walking Wilds – One Walking Wild will be added to the slot, and then it will move to the left on each spin. Free respins will keep going until there aren’t any of these symbols anywhere on the reels. Wild Heist at Peacock Manor is an incredible slot, with the highest quality possible of graphics and also of sound, which make it even better for players, since they will emerge completely into it. 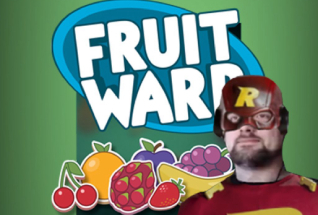 You can expect a very fun slot, with great features in which you can win something great that you can use to keep playing or for other things. 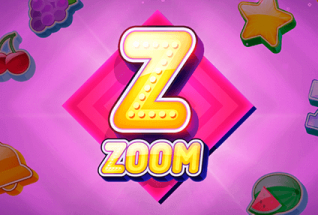 You have wild symbols, a Mystery Feature, a card picking bonus game, and much more available, so this is the ideal slot for those who want to receive some money by just having a lot of fun.